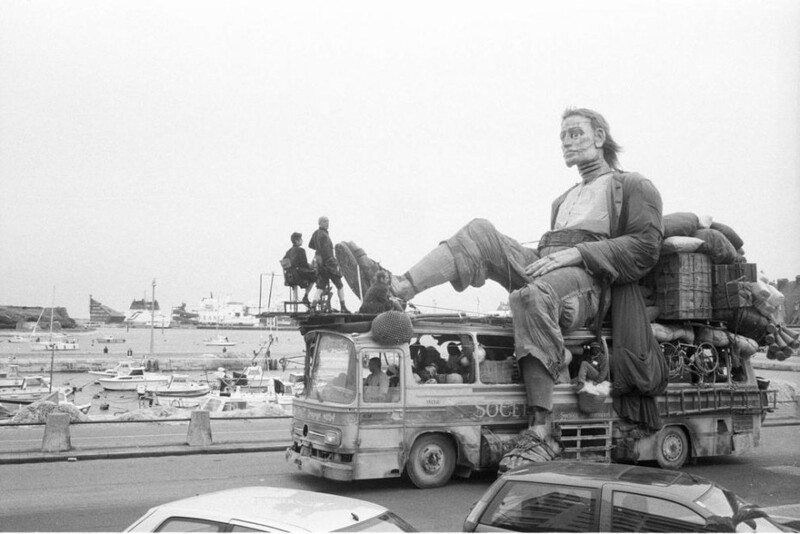 The company started out in Aix-en-Provence where an acting trio led by Jean-Luc Courcoult began luring audiences outside rather than dragging them into a room, performing their plays on the streets and in public open spaces. 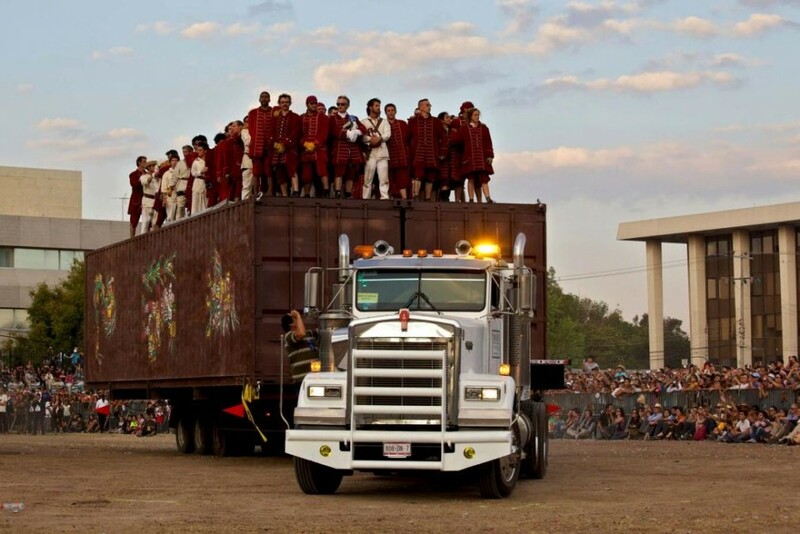 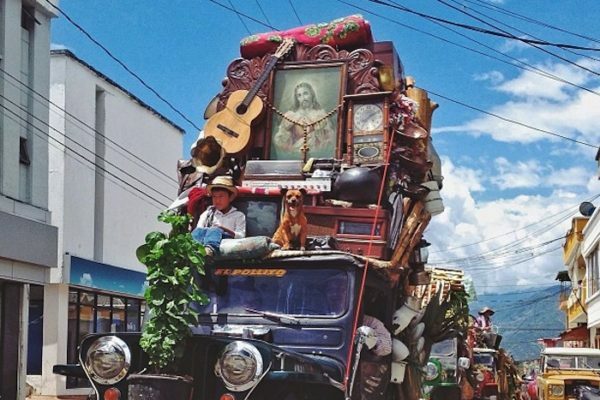 After a decade of travelling world with their alternative forms of theatre which became more unusual and larger-than-life with every tour, the company began attracting growing attention from the general public, agents and theatre programmers. 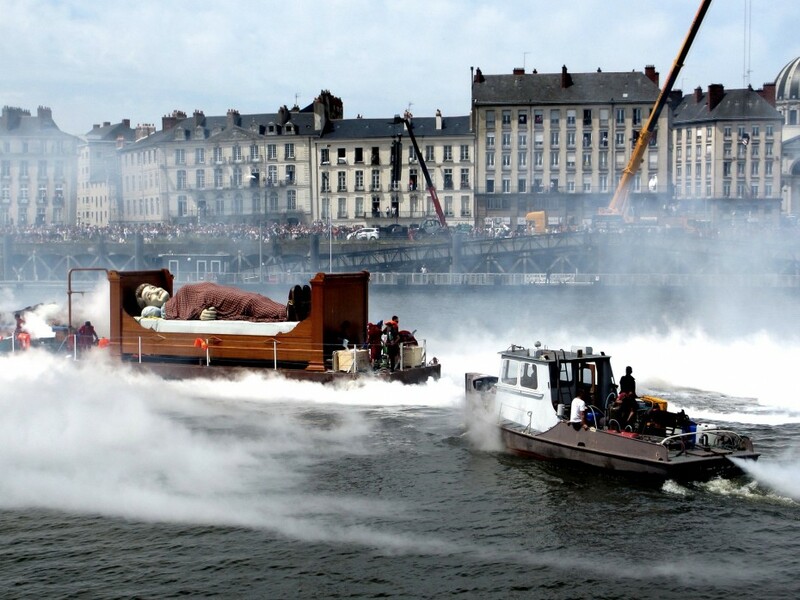 In 1989, they received a call from the mayor of the French city of Nantes, offering them funding and to set up shop in in a disused rice warehouse on the banks of the Loire river. 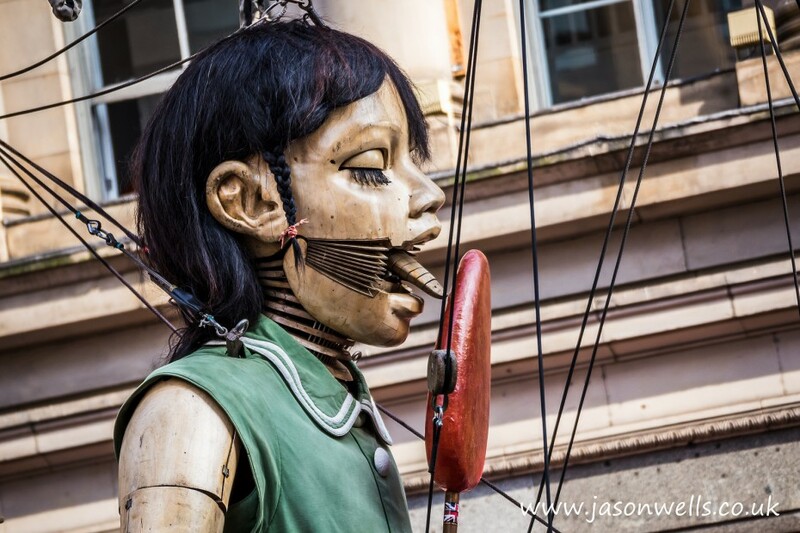 It is here that Jean-Luc Courcoult’s true artist wizardry could evolve in to something really colossal. 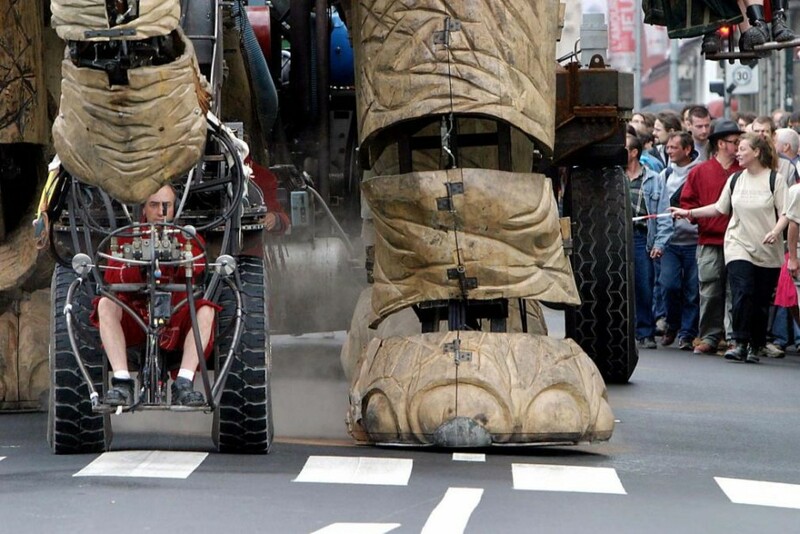 Enter the giants. 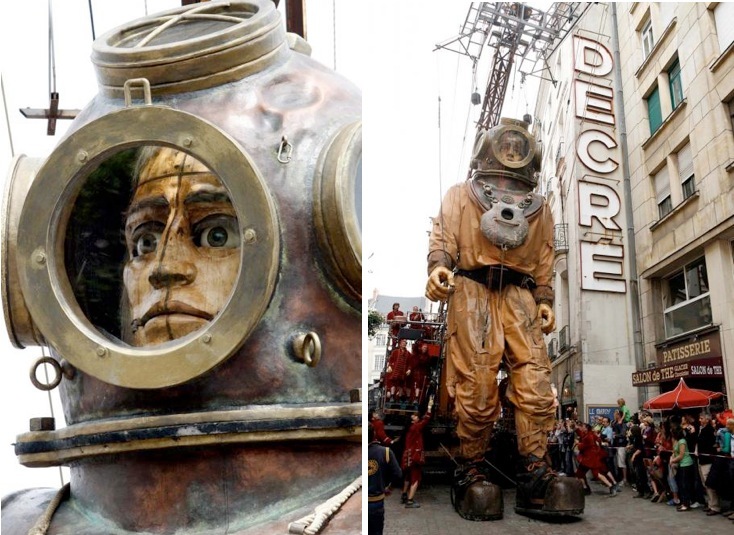 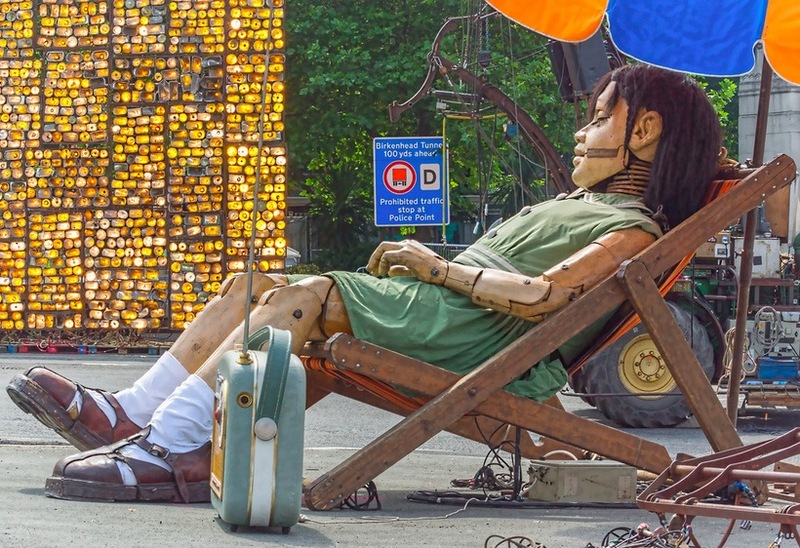 Since its first parade in the early 1990s, the Royal de Luxe has brought cities to a standstill as thousands gather to look up in awe at the giant 50 foot mechanical marionettes that pass through the streets acting out stories and ancient legends for several days of pure theatrical magic. 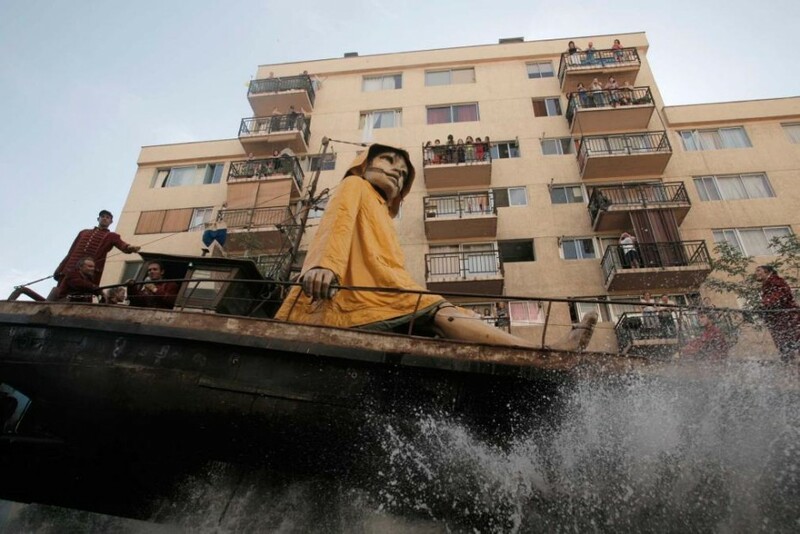 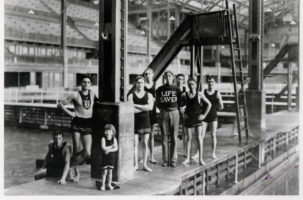 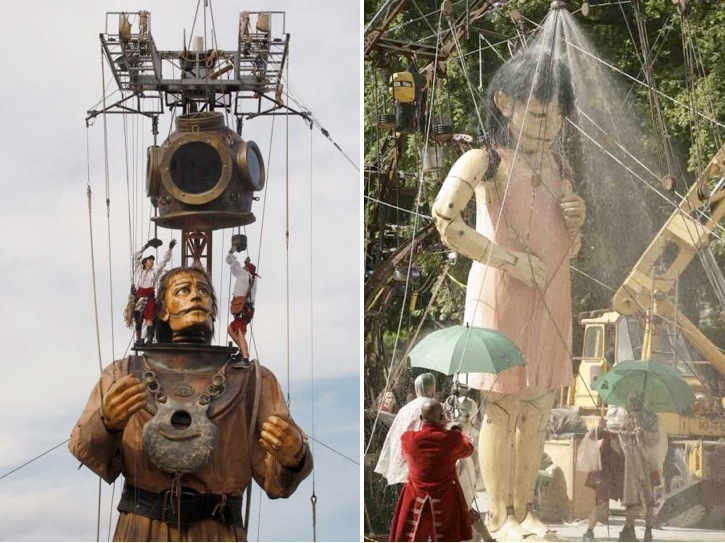 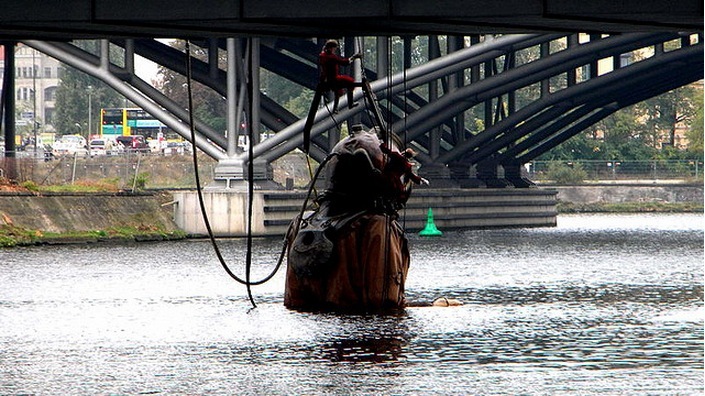 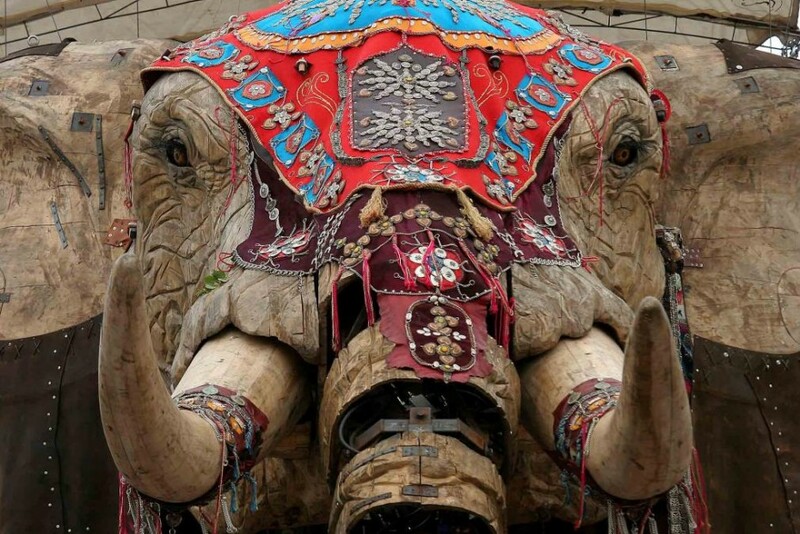 Each giant, built with light and flexible poplar wood, is controlled on a system of hydraulic pulleys and levers by 20 to 40 members of the Royal de Luxe troupe, called Lilliputians. 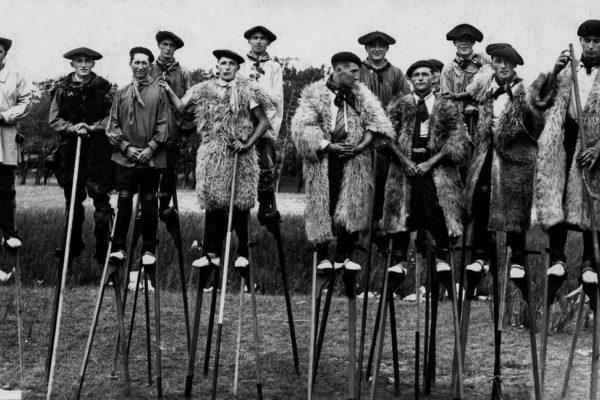 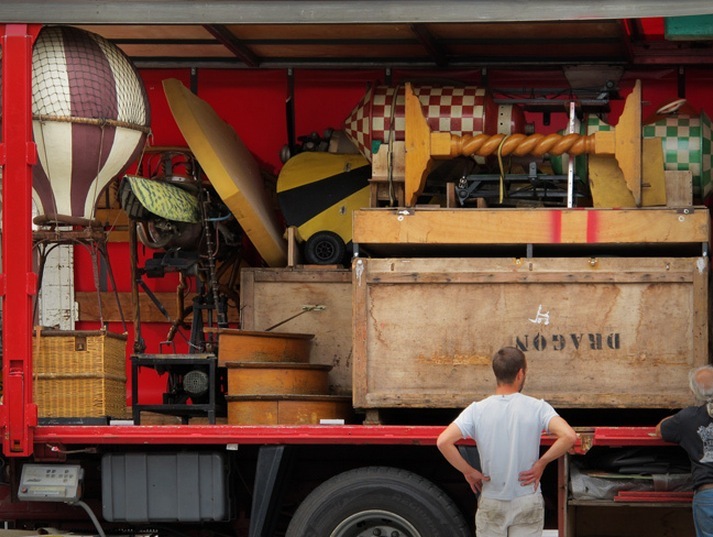 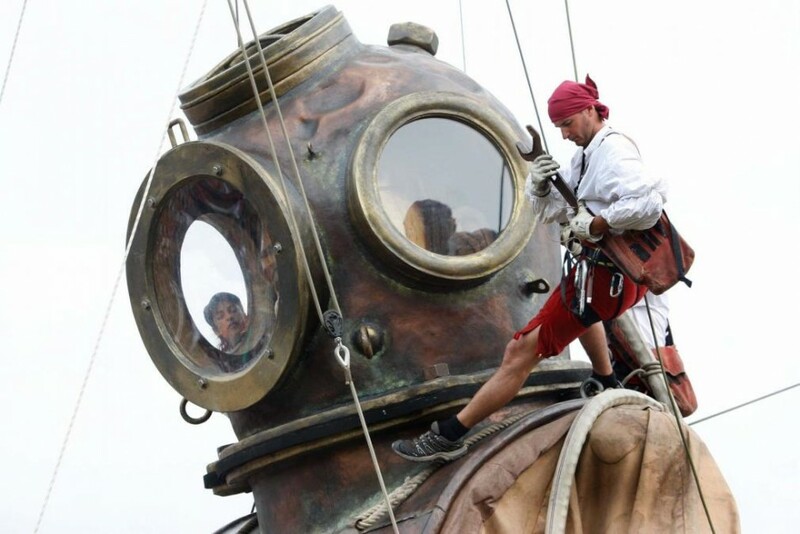 Members of the company come from all walks of life, seduced by Courcoult’s wizardry, they are inventors, poets, stuntmen, theatre technicians and scrap-dealers, most of whom move between a technical and performance role. 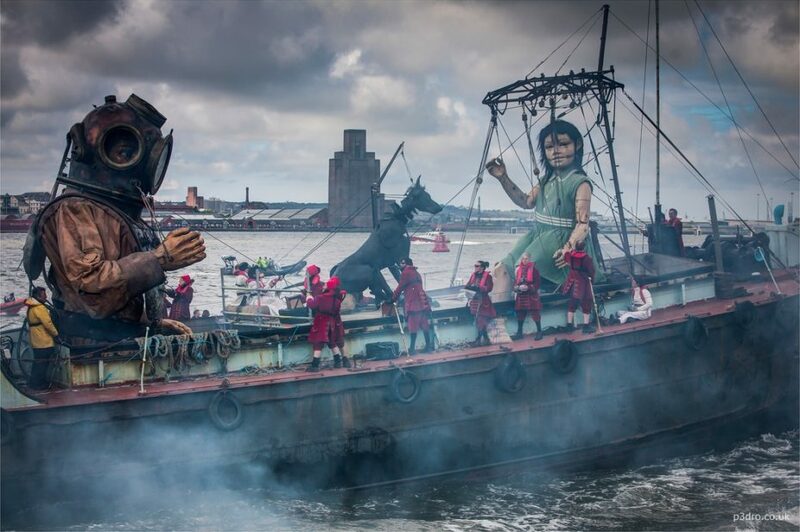 And these giants don’t just put one foot in front of the other (although impressive in itself for their size), the Royal de Luxe puppets’ eyes blink when they’re tired, their lungs inflate and deflate in a synchronised motion. 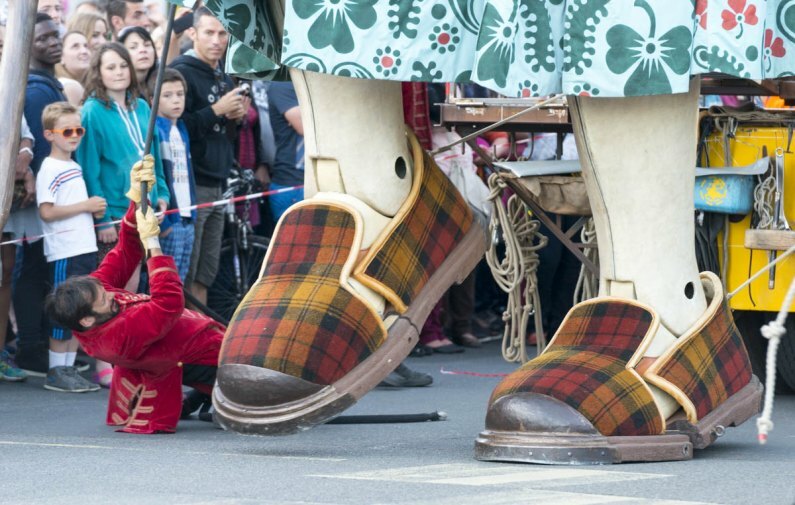 “How it’s made” behind the curtains of Royal de Luxe however is something that’s shrouded in secrecy. 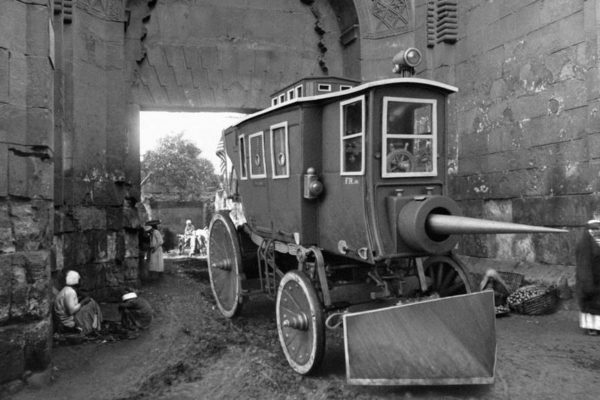 Courcoult rarely grants interviews or visits to the workshop, preferring to maintain the mystery of his company’s wizardry. 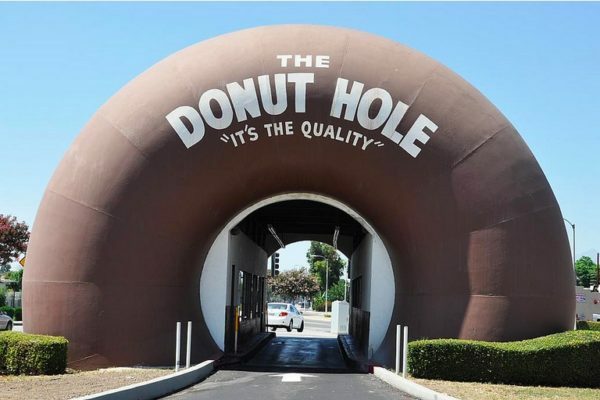 And certainly, his wizardry really does work magic on the places the troupe visits. 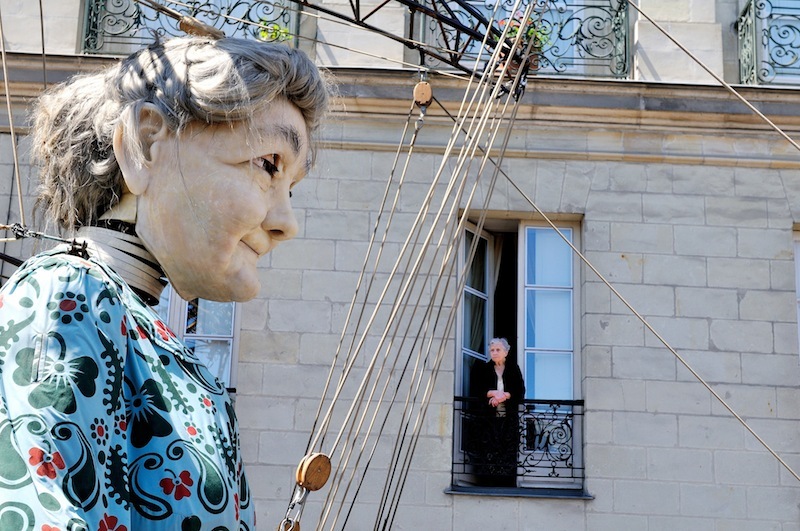 The Mayor of Nantes refers to him as the genius who helped reinvent the city. 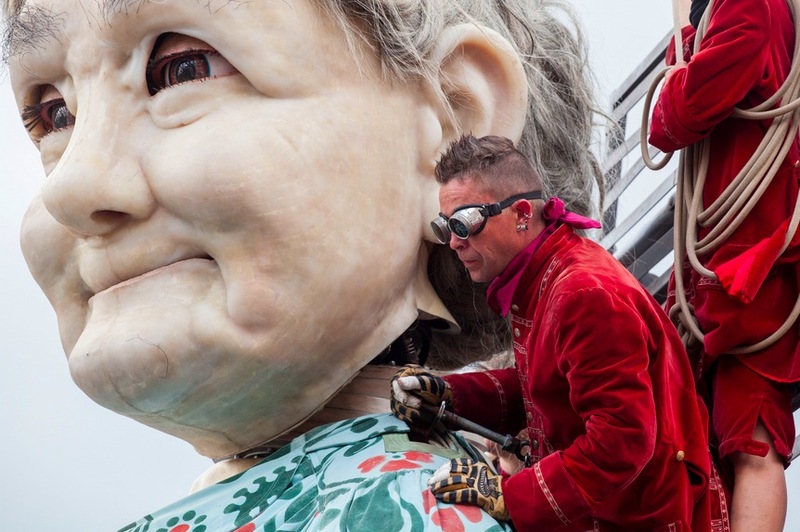 While the budget for a parade can cost its host between $1.5 to $3 million, the free show will typically generate 10 times that sum by attracting thousands of visitors to the spectacle. 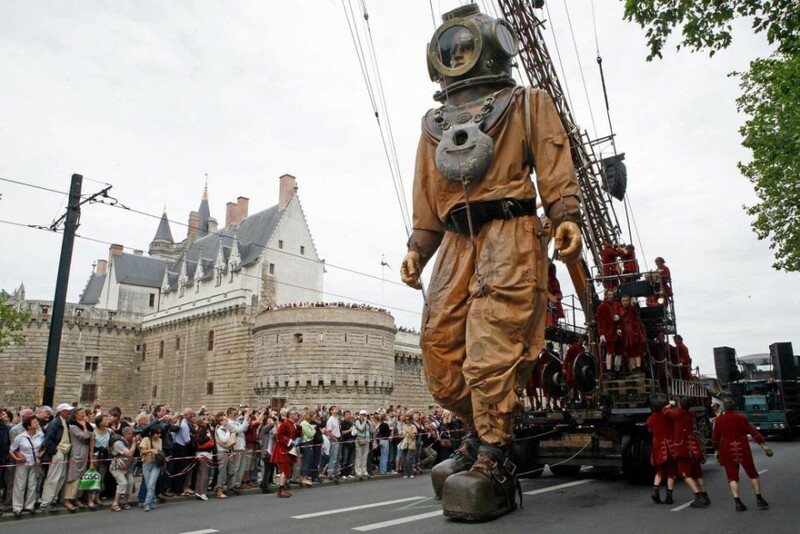 But Courcoult won’t just pack up his puppets and go to any city or place that flashes the cash. 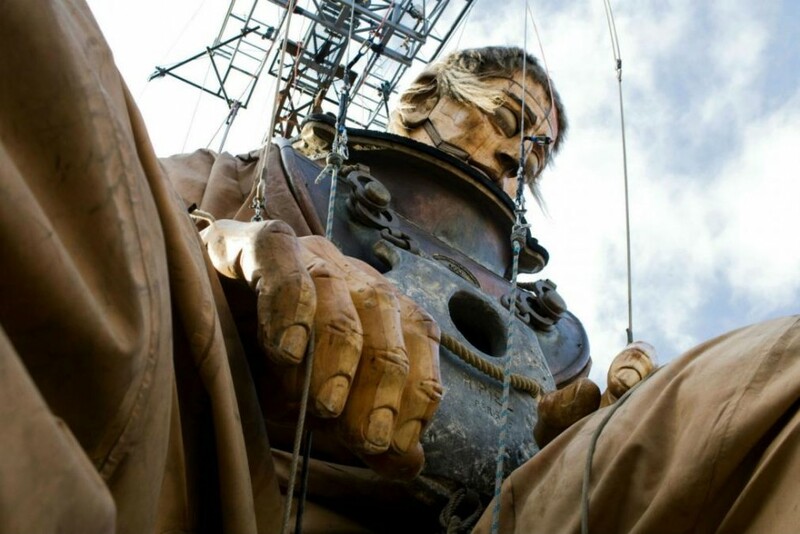 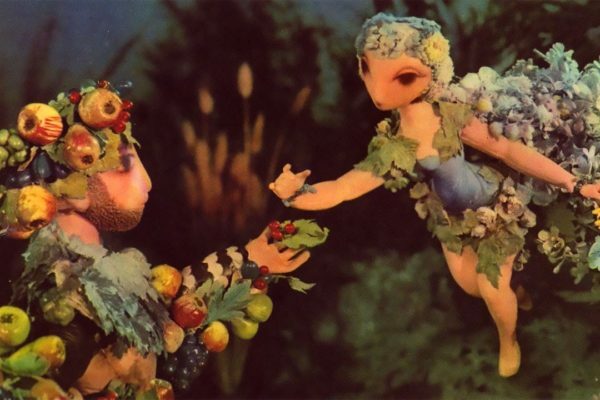 Unless there is a deep myth that connects the giants to the people, Jean-Luc says it just becomes a circus and the show loses its poetry. 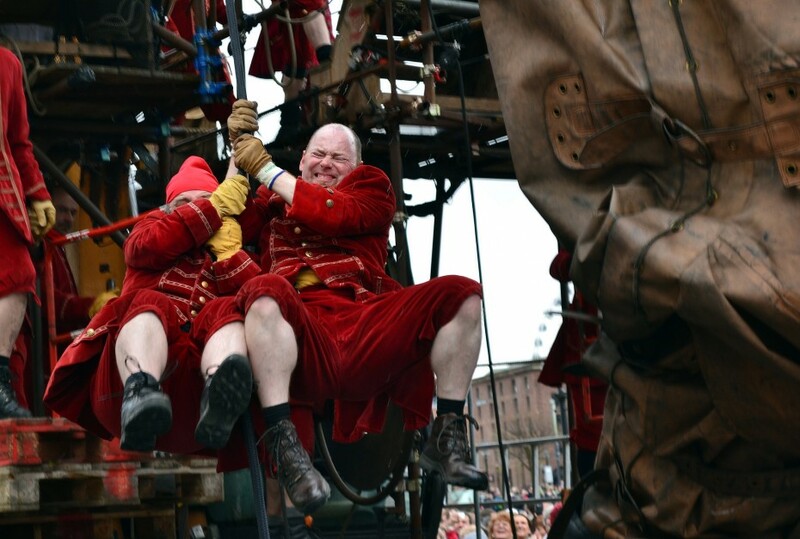 Offering audiences and even future troupe members, opportunities to dream of a world where anything is possible, Royal de Luxe seems almost mythical in today’s age. 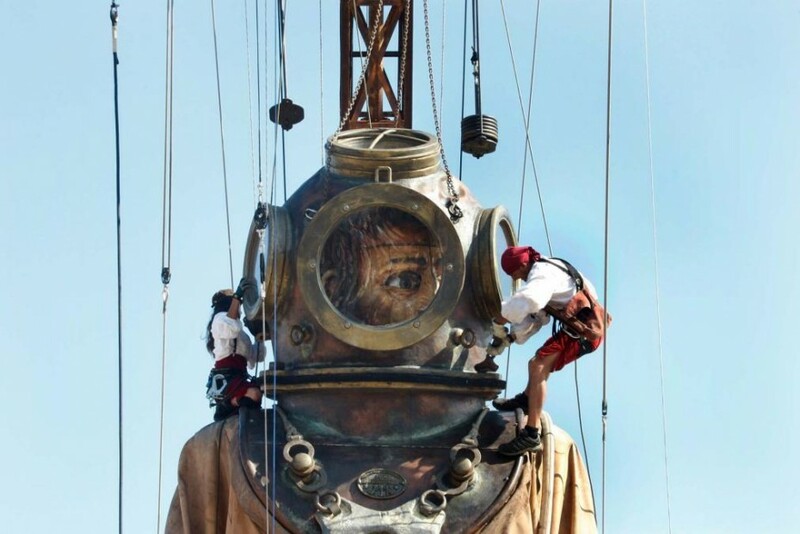 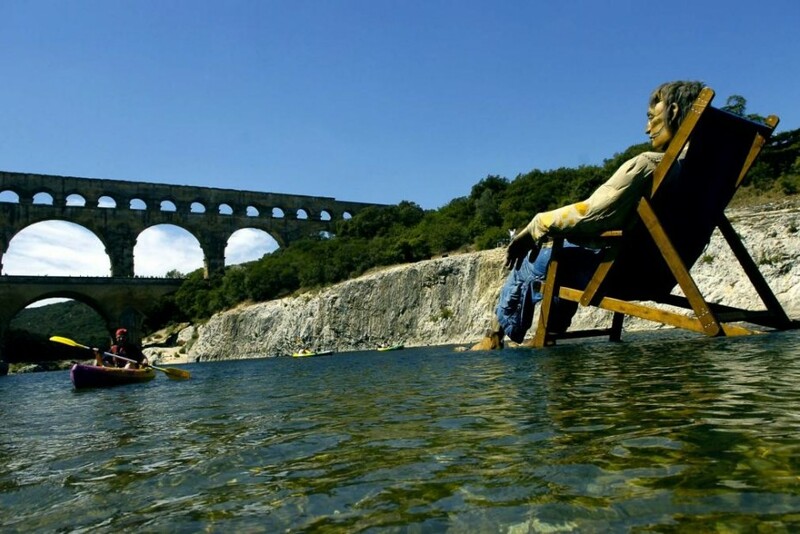 Can such adventures straight out of a Jules Verne book really exist? 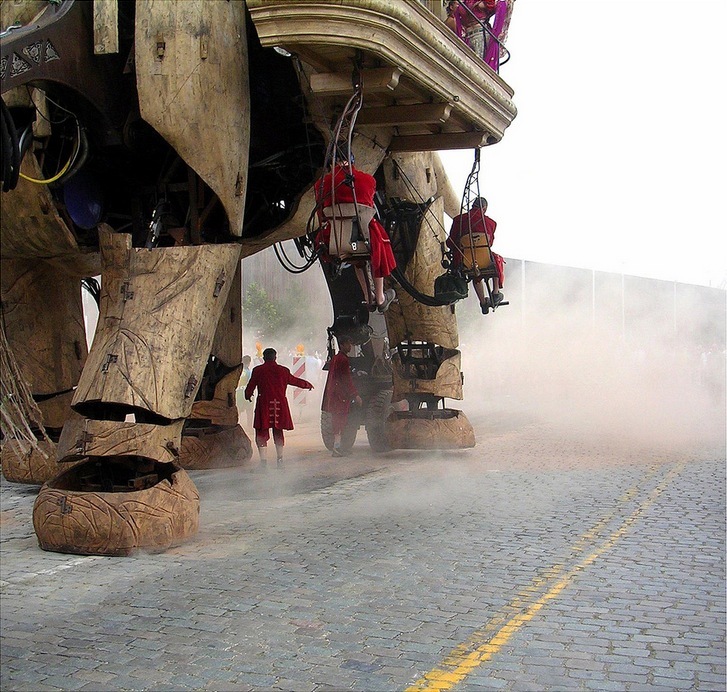 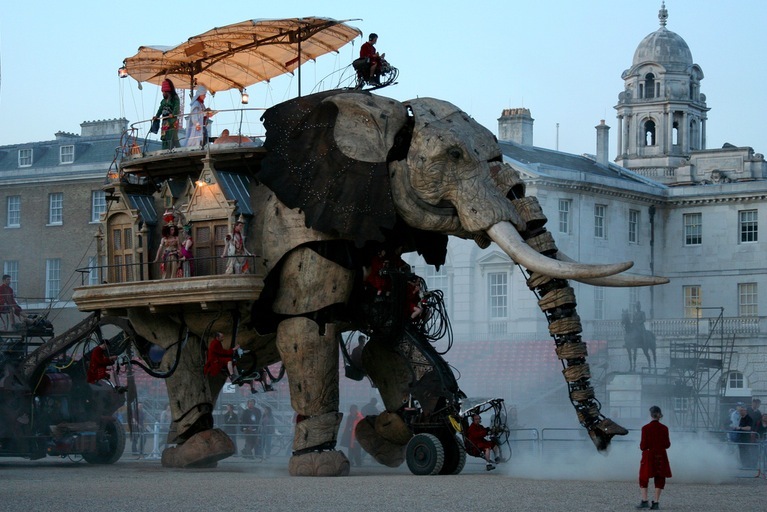 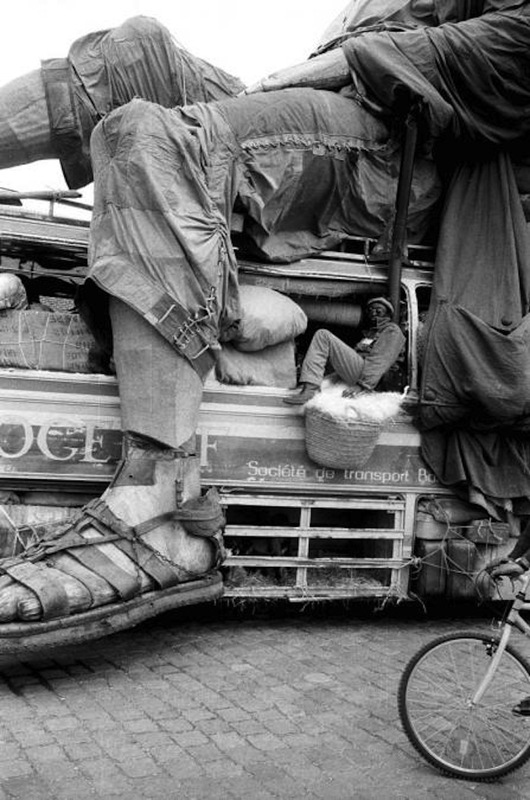 Follow the legend of the Royal de Luxe on Facebook, updates and tour information also the website.